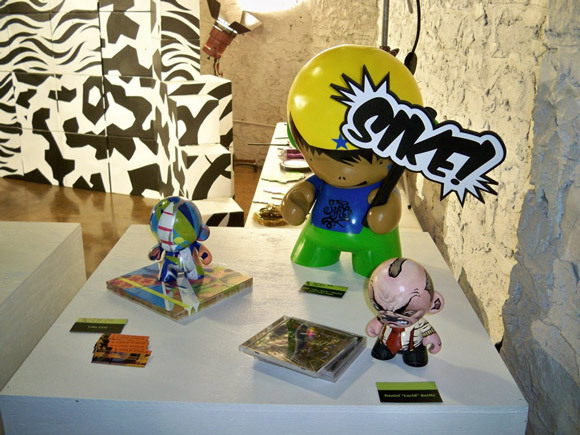 In case you missed it, The KC Hustle 2 art exhibition was an amazing display of custom vinyl toys and original artwork that took place a couple weeks ago in Kansas City. The show featured Kidrobot veteran, MAD aka Jeremy Madl, with amazing local talents, Donald “Scribe” Ross, Nathan Fox, Zachary Trover, Brian “Bullets” Holton, Phil “Sike Style” Shafer and a handful of guest artists. Take a look at the event photos from MAD’s Flickr page to see how it all went down.